Dubai Tourism continued to expand its reach across Japan targeting segmented demographics through strategic activations, marketing campaigns and ongoing trade and business partnerships with key industry players. In order to drive awareness and consideration around Dubai as a holiday destination among Japan’s target market, the department identified women and senior citizens as key drivers in the travel and tourism space. Furthermore, building on the city’s commitment to ensure ease of accessibility, Japanese visitors benefit from daily flights from Tokyo Narita, Tokyo Haneda and Kansai International Airport in Osaka. 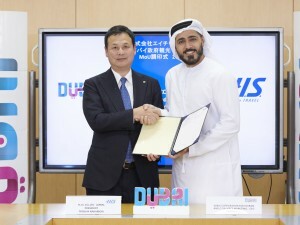 Issam Kazim, CEO of Dubai’s Corporation of Tourism & Commerce Marketing (DCTCM) said, “2018 saw sustained growth from the Japanese market as we welcomed more than 100,000 overnight visitors a year for the very first time.” Working to deliver an enhanced travel experience for Japanese visitors to the emirate, Dubai Tourism has partnered with H.I.S., a market leading travel agency in Japan to provide easy access to Dubai’s travel products and information though sales and retail promotions across major Japanese cities. Furthermore the department conducted a number of highly targeted marketing activations to highlight the city’s varied offerings to diverse audiences across Japan, including key broadcast projects that explored the city’s innovation in culture, sustainability and technology, as well as ongoing familiarisation trips and media events to highlight the city’s distinctive elements. The Department of Tourism & Commerce Marketing (Dubai Tourism) has announced a new social media competition under the #MyDubai initiative, offering Dubai residents the chance to win two Emirates return tickets for their friends and family to visit them in the city. The competition will select two winners each week for 15 weeks starting from October 15, 2018 to January 31, 2019. The competition calls on all residents to share compelling moments in their lives that highlight the diverse culture and soul of the city. Participants can submit their entries on the MyDubai Facebook page, or simply upload those on their personal Instagram and Twitter accounts by using #MyDubai and #MyInvite. 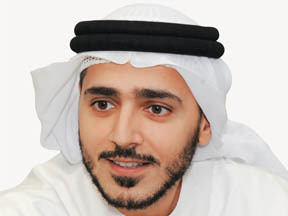 Issam Kazim, CEO, Dubai Corporation for Tourism and Commerce Marketing said, “The passion for the emirate that exists amongst both UAE nationals and the communities of more than 200 nationalities living here is a key driver for Dubai’s success. These residents take pride in posting about their experiences in the city and sharing their special moments with the world. The best advocates of a city are the people who live in it and through this campaign, we hope to encourage residents to highlight what truly lies beneath the urban and technological experiences and highlight why Dubai has maintained its position as the fourth most-visited city in the world. What started out four years ago as a city-wide initiative to create the world’s first autobiography of a city has today grown into a mammoth library of user-generated content that has allowed us to tell a unique story by capturing real-life dynamic moments that both residents and visitors experience in this remarkable destination”. Dubai has been announced as the winner of the bid to host the 2019 edition of the biggest annual international gathering of destination wedding industry, the Destination Wedding Planners (DWP) Congress, which is set to take place at the iconic Atlantis, The Palm hotel. Dubai overcame stiff competition from several countries to win the bid to host the 6th Annual of the Destination Wedding Planners (DWP) Congress, the premier business-to-business networking event in the USD 300 billion global wedding industry. More than 500 delegates from over 70 countries are expected to attend the three-day conference from March 27th to 29th 2019, to be held in Dubai’s iconic five-star hotel and luxury resort, Atlantis the Palm. 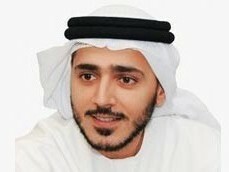 Commenting on the upcoming congress, Issam Kazim, Chief Executive Officer of Dubai Corporation for Tourism and Commerce Marketing (DCTCM), said, “Dubai already holds a strong appeal for destination weddings, and hosting an event like the Destination Wedding Planners Congress will give us the opportunity to familiarise more of the industry with the city. It will also place Dubai at the forefront of the sector’s development and enable the city’s stakeholders to be involved in discussions about the key issues affecting it and shaping its future.” “We at Atlantis, The Palm see great value in the Destination Wedding Planners Congress and look forward to welcoming global wedding and events companies to collaborate and develop this important sector during the 2019 event,” comments Ian Renton, Director of Group Sales at Atlantis. Dubai’s Department of Tourism and Commerce Marketing (Dubai Tourism) has signed a Memorandum of Understanding (MoU) with Fliggy, the online travel service platform of Alibaba Group. 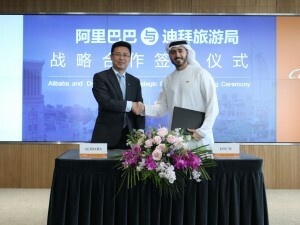 Aimed to boost the number of Chinese tourists visiting Dubai, the MoU was signed by Issam Kazim, CEO, Dubai Corporation for Tourism and Commerce Marketing (DCTCM) and Jerry Hu, VP, Fliggy and Alibaba Group, as part of a broader long-term alliance discussion at the Alibaba headquarters in Hangzhou in China. The MoU entails among other aspects, collaboration between the partners to deliver an enhanced travel experience for Chinese visitors to the emirate by providing easy access to Dubai’s travel products and information, initiating a payment scheme, etc. 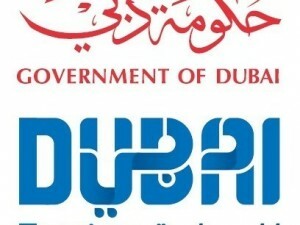 In addition, Dubai Tourism would continuously maintain and update the ‘Dubai Destination Mall’ page on Fliggy, providing a comprehensive overview of the city’s tourism proposition to the broad customer base that Fliggy delivers. As a major online travel platform in China, Fliggy is a strategic travel partner for Dubai Tourism within China, allowing Dubai’s entire travel and tourism ecosystem to set up and operate their own ‘shop’ on the Fliggy virtual marketplace. Additionally, being extremely popular amongst the younger generation of Chinese tourists, Fliggy is an even more relevant partner for Dubai as there is a clear priority to build a strong base within this segment as potential visitors to the city.